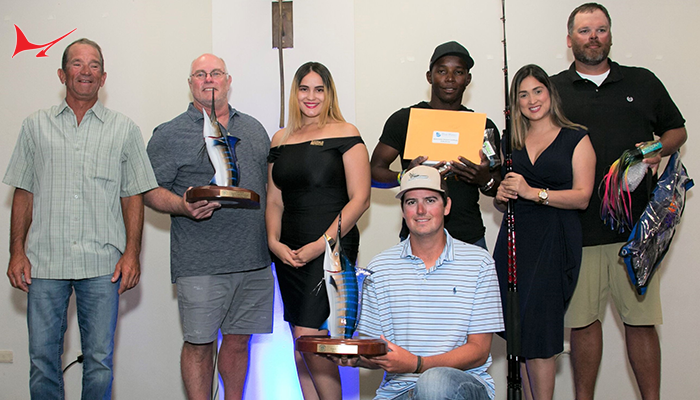 After a pursuit lasting more than a decade, Team Reel Addiction finally topped the field of 117 boats to win the 2018 Mississippi Gulf Coast Billfish Classic. Angler Chase Pate of Pensacola, Florida, Capt. Scooter Porto, owners Rocky and Laurie Jones, and mates Zach Taylor, Seth Brennan and Nate Dennis boated a 796.9-pound blue marlin after a 30-minute fight Saturday morning. 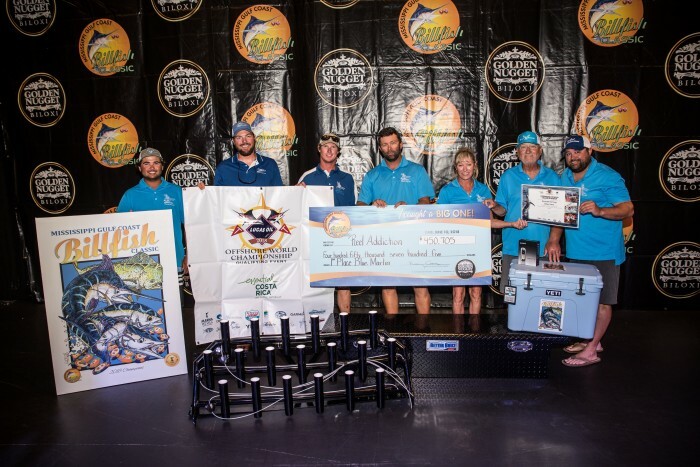 The largest marlin of the week earned the team $405,705 for the top tournament award and optional entries. The overall tournament prize money was nearly $2.2 million. “Winning this one was on my bucket list,” Rocky Jones explained before Sunday’s awards breakfast. “We won top release boat 12 years ago and I’ve been trying to win the whole shooting match ever since. We finally did it!” Reel Addiction, a 56 Viking and regular on the Gulf big-game circuit, is based in Pensacola Beach. 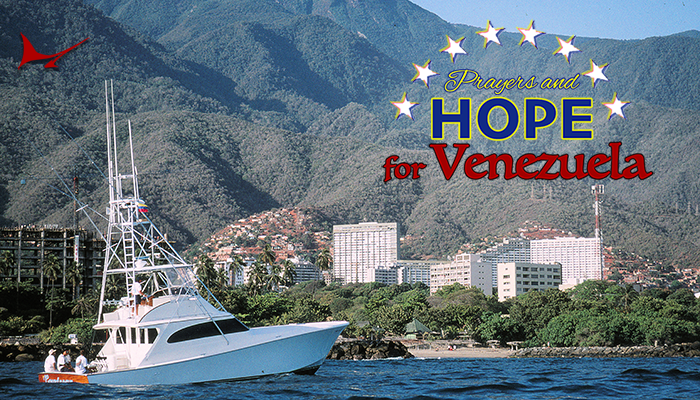 With the win, the team also earned an invitation to compete in the 2019 Offshore World Championship in Quepos, Costa Rica. 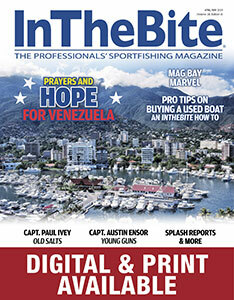 Team Supreme, with anglers Alex Krake, Chris Howell and Capt. Chase Lake, didn’t go home empty-handed, even though their Friday night marlin weighed 739.1 pounds. 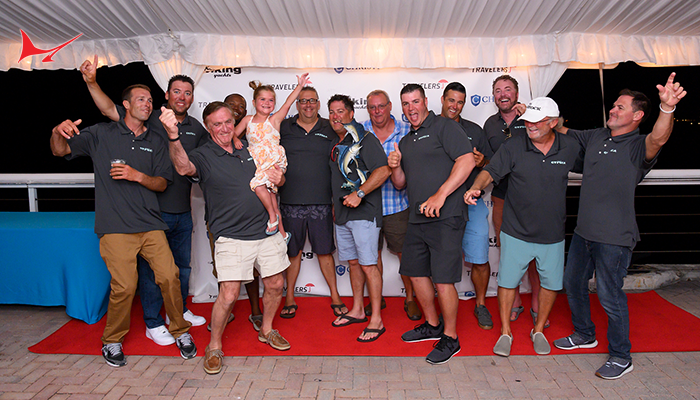 The 76 Viking from Destin went back out and caught a 156.6-pound yellowfin to boost the overall winnings to $313,115 for the second-place tournament award and optionals. Pearl took the third-place tournament award and pocketed $122,970. Angler Edgar McKee and Capt. Shawnie Clemons and the team aboard the 48 Viking based in Orange Beach boated a 611.5-pound blue to earn that payout. The Catch and Release Division was close and final standings were determined by time of catch. Relentless Pursuit (Capt. 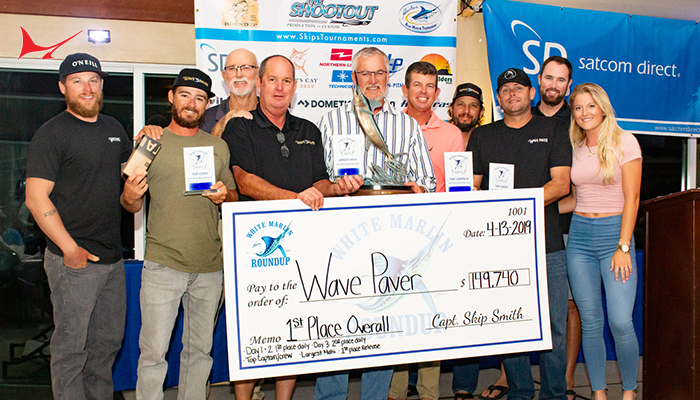 Robbie Doggett), was the overall winner with 1,800 points (three blue releases), earning a check of $265,050. The 95 Jim Smith calls New Orleans home. Done Deal (Capt. Jason Buck) came in second in the division, also with 1,800 points. Angler Katie Gonsoulin took top Lady Angler honors and the team won $133.830. Money Shot (Capt. Dale Bergeron) was the third-place release team with 1,200 points, good for a $12,000 payday. A Work of Art, Born2Run and Wynsong also won optional money in the release division. 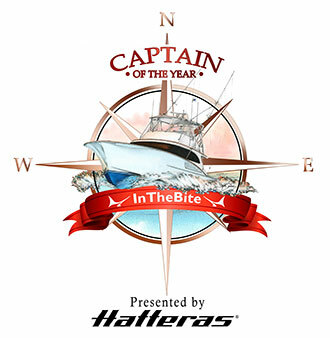 Ryan Cooper, fishing on CE, was named the top junior angler based on his two white marlin releases. Angler Robeau Whibbs and the family/friends team aboard Swee Pea, a 50 Topaz from Pensacola, captured the top tuna. Their yellowfin weighed 182.3 pounds, good for $24,000. No tuna topped the current Mississippi record of 205.8 pounds, so the special $500,000 bonus went unclaimed. Bennie Goldman and his team on Reelentless, a 37 Freeman from Dauphin Island, took second place tuna honors with a 172.8 yellowfin. That fish was worth $139,725 in category and optional money. Fourteen-year-old Sawyer York, competing aboard First Choice, a 60 Hatteras based in New Orleans, whipped a 166.3-pound yellowfin tuna to earn his team $90,585 in prize money. 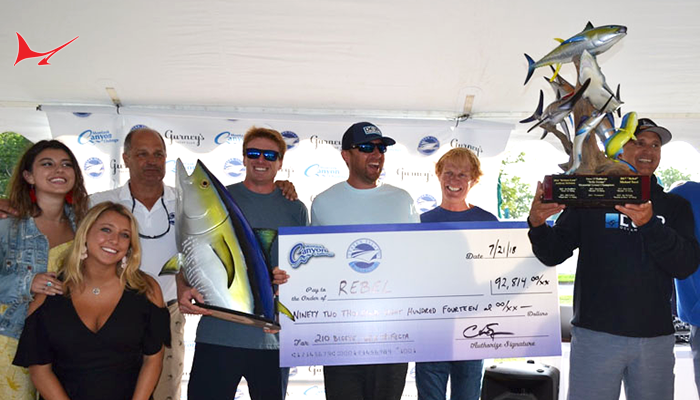 Triple Threat also won optional prize money for its 159.2 tuna. Anthony Stauffer (Hayride) boated the largest swordfish, a 144.1 broadbill, good for $39,600 in tournament and optional money. Matt Carpenter, on Long Straw, was second with a 125.2-pounder ($20,160), followed by Anthony Lopez on Titan Up (123.5 pounds/$26,940). Johnny Moore, fishing aboard Alma-Ann, a 48 Cabo (Capt. Nick Jones), made MGCBC tournament history when he finally landed the new record dolphin after a two-hour waiting game. The 57.2-pound bull earned the team $66,750. Kevin Berry, on Deadline, a 52 Viking, was second with a fishing weighing 45.2 pounds ($18,000), while Michael Burroughs whipped a 44.6-pound dolphin for Team Quicktime ($37,650). Amnesia, Big Torch, Heads N Tails and Questionable Judgement also took home optional prize money for their dolphin. The wahoo this year didn’t quite meet normal Classic averages but were respectable fish nonetheless and earned nice payouts. Lined Out and Jeff Dees caught the largest, 61.4 pounds, good for $48,300. Seament’s Doug Lake was second with a 48.5 wahoo ($37,125) and Neal Foster, betting heavily on Team Intensity, took home $82,425 for three entries in the optional categories. The Golden Nugget Casino and Hotel was this year’s tournament host. High Roller sponsors included the City of Biloxi, Release Marine, Visit Mississippi Gulf Coast, Gorenflo’s Tackle and Marina Store and Yeti Coolers.